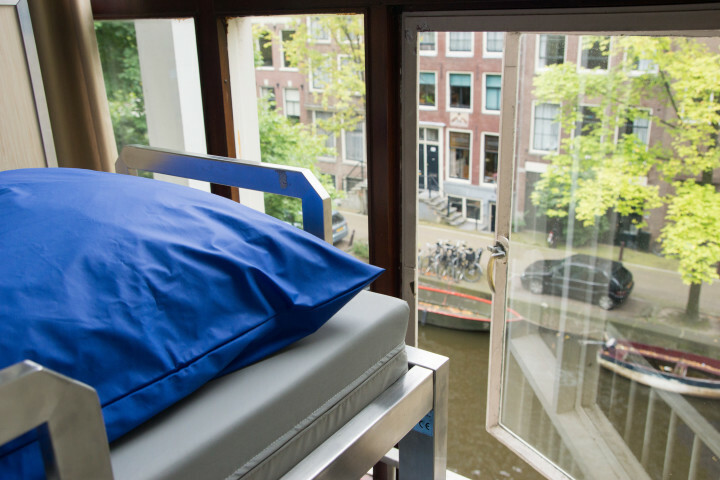 On a quiet street overlooking a canal, this central hostel has a great atmosphere and is within walking distance of the city's attractions. Stayokay Amsterdam Stadsdoelen is set on one of the city's oldest canals, bang in the middle of vibrant Amsterdam and besides bars, restaurants and shops. 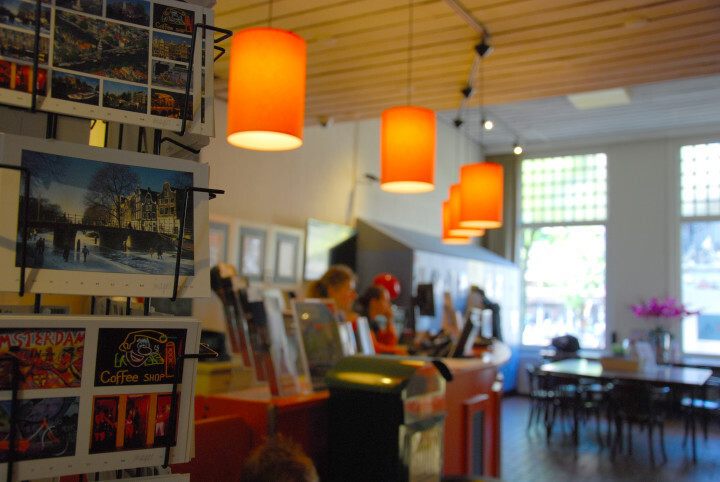 Nearby you will find theatres, cinemas and museums, as well as the famous Red Light District. 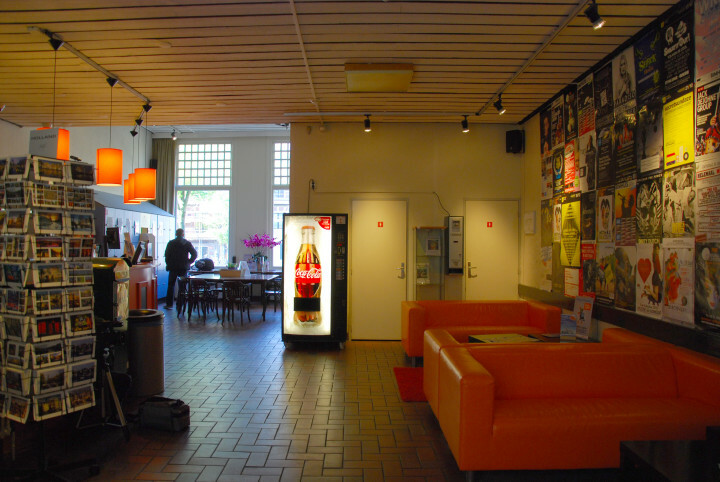 The hostel is in a monumental building facing canals on both sides, giving stunning views over old Amsterdam from most rooms, and during your stay you can enjoy Wi-Fi and no curfew so you can enjoy the famous Leidseplein and Rembrandtplein nightlife in the city that never sleeps. 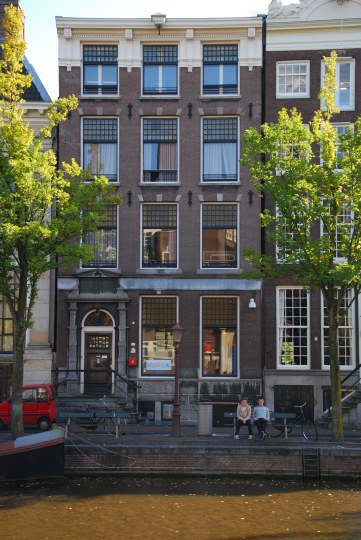 Amsterdam Stadsdoelen is within walking distance of the Royal Palace and Waterloo Square (which has a daily flea market) and is close to a water bus stop so you can discover the city from the canals. 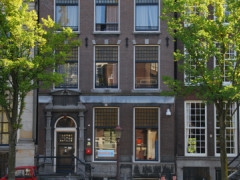 The hostel also offers discounted tickets for museums, canal tours and attractions, in addition to free daily walking tours. We sell padlocks and towels at the reception, the price is €4.50 each. Lockers before check-in en after check-out are available at €0.20 per hour or €2.- per 24 hours. City tax of €1,- per person per night at check in. 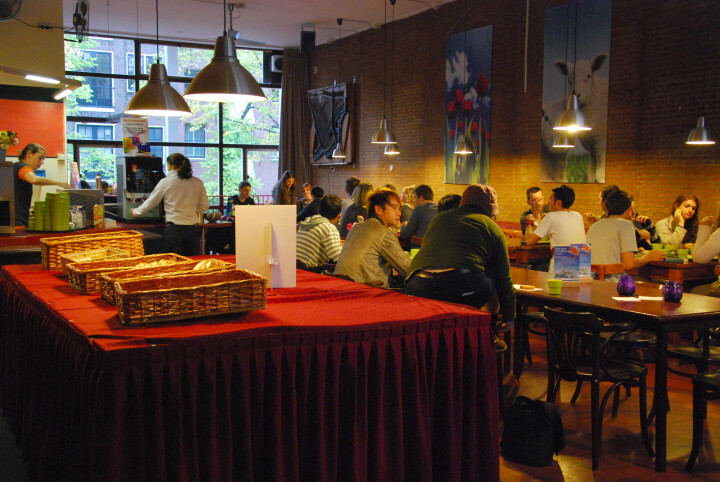 Breakfast at the hostel? Try our Grab&Go: you can order 3 items for € 5,50. How about a cheese sandwich, a fresh smoothie and a cappuccino? Would you prefer something else? Check the menu in our hostel. 12km Schiphol. 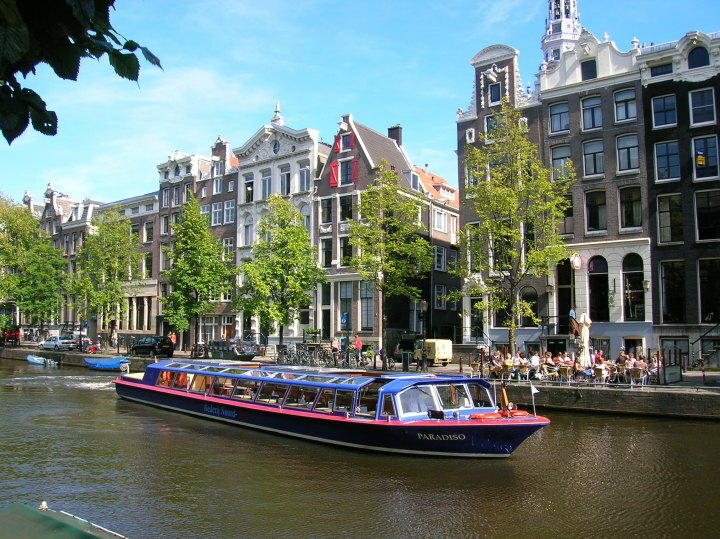 Take the train from airport to Amsterdam Central then tram (3stops) metro (1stop) or walk (20min). 400m tram no. 9 16 24 & 25. 1.5km Central Station. Take tram 9 16 24 or 25 from Amsterdam Central Station. Get off at the Rembrandtplein stop. Cross the tram tracks and enter the 'Halvemaansteeg '. Walk to the end of the street and cross the bridge over the Amstel river. Continue walking along the canal on 'Kloverniersburgwal'. 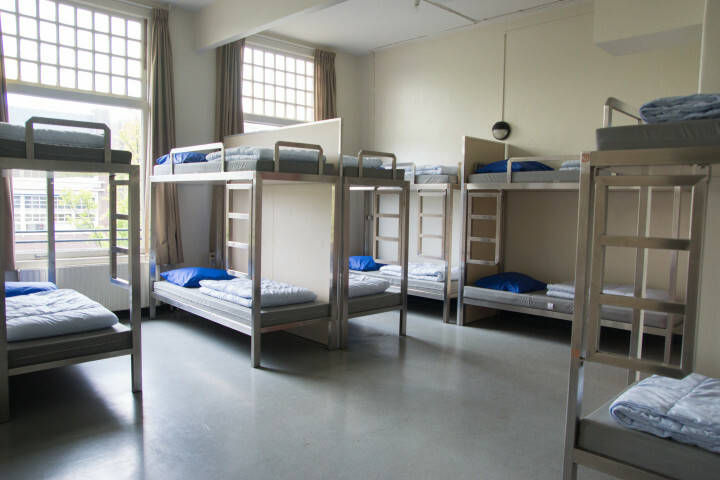 The hostel is on your right after 500m. There's a small Stayokay sign in the window.